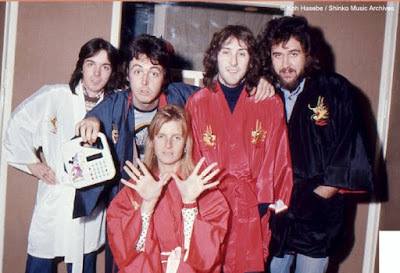 When these photos were taken of Wings in January 1976 while they were recording "Beware my Love," Paul was seen in several of the photos holding a Sorcerer Mickey Mouse electronic toy. Since I love to find connections between the members of the Beatles and Disney, this interests me. I found out the the toy is a Mickey Mouse electronic calculator made in Japan in the 1970's and distributed worldwide called "Mickey Math." 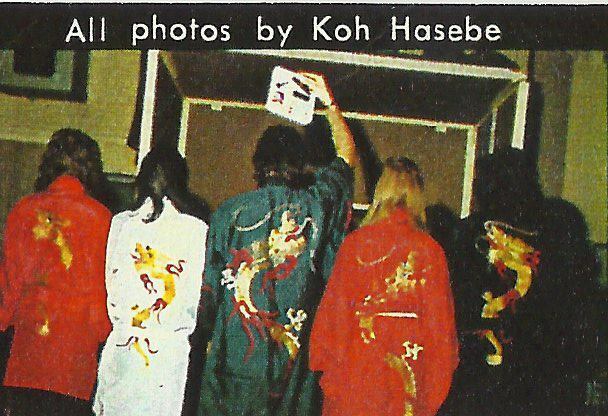 It came with a pouch, instructions and and plug-in adapter, so that you could plug it into the wall or use batteries. Here is what the calculator looked like. I would guess that one of the McCartney girls was playing with this toy and had it laying around the studio at the time of the session. 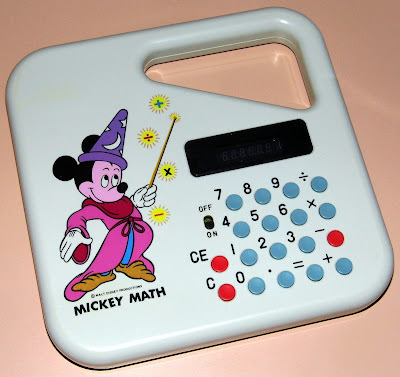 It looks like one of those toys you would ask your folks for, because it looked cool, but when you got it and realized that it was just math, you never used it.